Your automobile has a front differential, rear differential, or both. The kinds of vehicles which have both differentials are those with 4-wheel drive capabilities. These require separate gearboxes for the middle of the two front wheels and the two rear wheels. The average economy car has front wheel drive, which means the differential exists in between the two front wheels. As the internal combustion engine generates power, this energy gets transferred to the axles of the front wheels by the front differential. That way, the wheels can turn left or right whenever you turn the steering wheel. On the other hand, if it is a 4-wheel drive vehicle, then the back wheels need to turn just like the front wheels. The only way this can happen is if rear and front differentials are both installed. The differentials are constantly in use as you drive your vehicle, especially when you make turns. The wear and tear inflicted upon the gearbox means that you need to keep the gears lubricated consistently with differential fluid. Like the engine, they tend to heat up rather quickly as they’re in use. They need lubricating fluid to keep them running smoothly. Otherwise, too much heat can degenerate them even further. Unfortunately, most car owners fail to change their front and rear differential fluid. They expect a mechanic or some auto professional to remind them to get it done. The problem is that most auto professionals won’t bother checking the condition of your existing differential fluid. They’ll just wait until you have problems with the differentials themselves. By this point, you’ll need to do more than just change your differentials. You’ll actually need to get them repaired before they become totally unsalvageable. It is easy to tell when you have differential problems. You will notice some obvious symptoms, such as vibrations, strange noises, and even fluid leaking from your vehicle. By this point, you will need to have your differentials repaired or else the damage to your vehicle will only get worse. Below are the average costs to repair front differentials and rear differentials. The make and model of your vehicle has a lot to do with the cost of repairing your front differentials. The other factor is the extent of the existing damage or wear to your front differentials. Since the front differentials are in the front side of the vehicle, they’re more prone to take damage from rough roads and the objects on them. For this reason, it will cost up to $1,000 if you need to rebuild your entire front differential. However, in most cases, the repairs needed will be less extensive. You’ll only need to pay between $200 and $500 if it’s something as simple as an oil seal that needs repair work done. 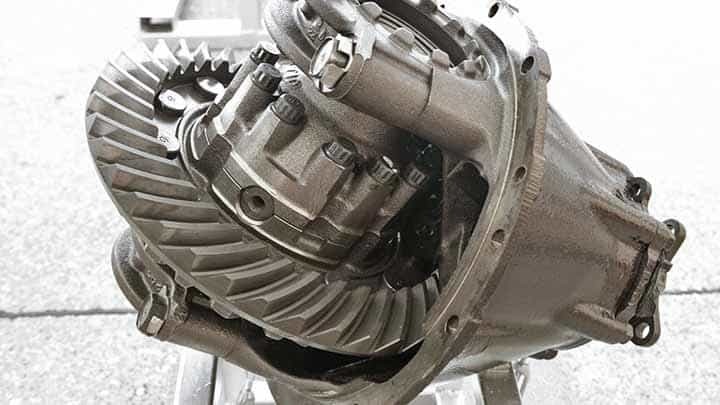 Repairing a rear differential is never really a problem for most people. When it does come time to repair it, the cost will be a little less than the front differential repair costs. But this only applies to vehicles which have engines positioned in the front of the vehicles. If you happen to own a vehicle where the engine is in the back and there are rear differentials too, then repairing the rear differentials will cost more than repairing the front differentials. Once again, it will cost between $200 and $500 on average to repair the rear differentials if they’ve only experienced minor damage. It will cost more if the damage is more severe, such as having a bad transaxle or fluid leaks. But no matter what the damage is, the repair costs shouldn’t be more than $1,000. The only time it will be more is if you own a luxury vehicle.